Fully painted hardcopy figures are real treasures of the prototype collecting hobby. 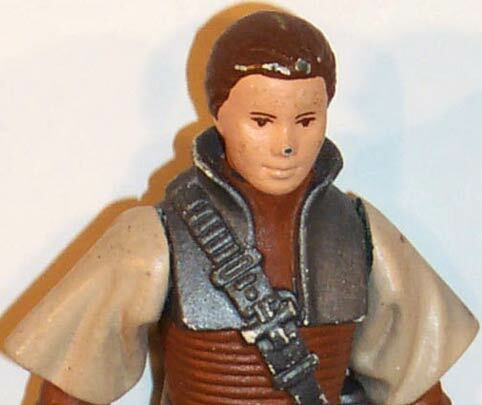 Not only are they completely hand-made and meticulously painted, they exhibit a much greater level of detail than do standard plastic action figures. As they were only made for purposes such as promotional photographing or display at an industry show like Toy Fair, very few examples of each figure were created. And, of course, even fewer survived. 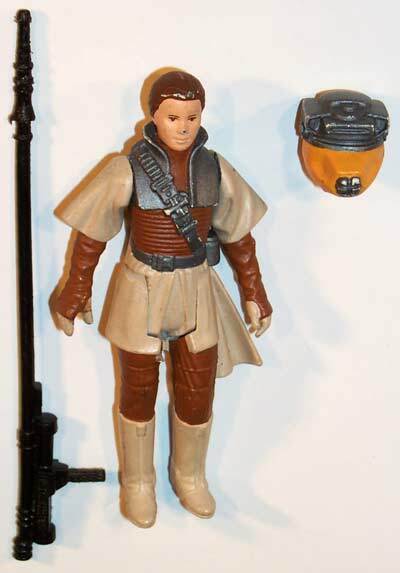 This piece is a painted hardcopy of the Leia in Boush Disguise figure. It's especially nice that it's remained complete with its weapon and helmet. These accessories are also prototypes. It should also be noted that, on the head of the piece, you can see some scratches in the paint on the nose and hair, which reveal the green color of the underlying Dynacast material.